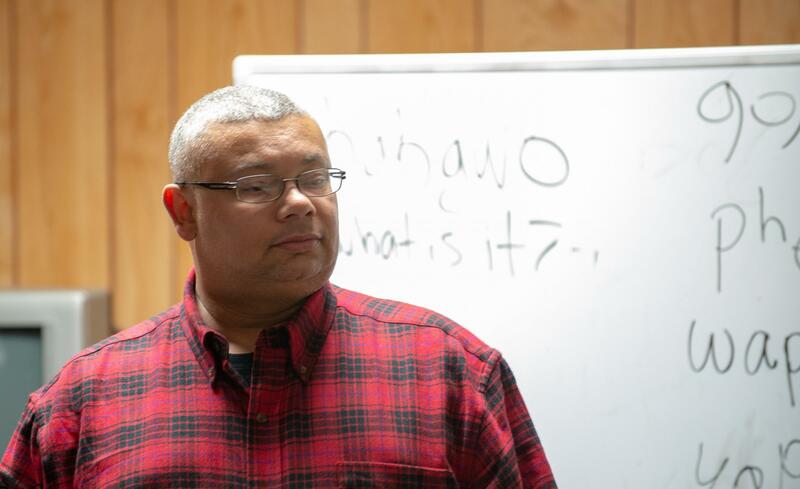 Marty Richardson leads a small Tutelo-Saponi language class for the Haliwa-Saponi community in Hollister, N.C.
Marty Richardson wanted to know more about his culture. He grew up with his family in Maryland, a ways removed from the Haliwa-Saponi Indian Tribe in North Carolina to which he is a member. 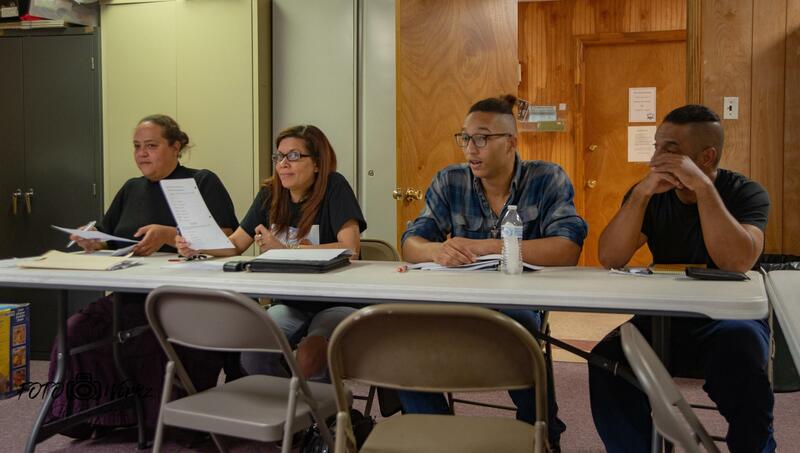 WUNC's Laura Pellicer reports on the efforts of a member of the Haliwa-Saponi Indian Tribe to bring back an ancestral language. 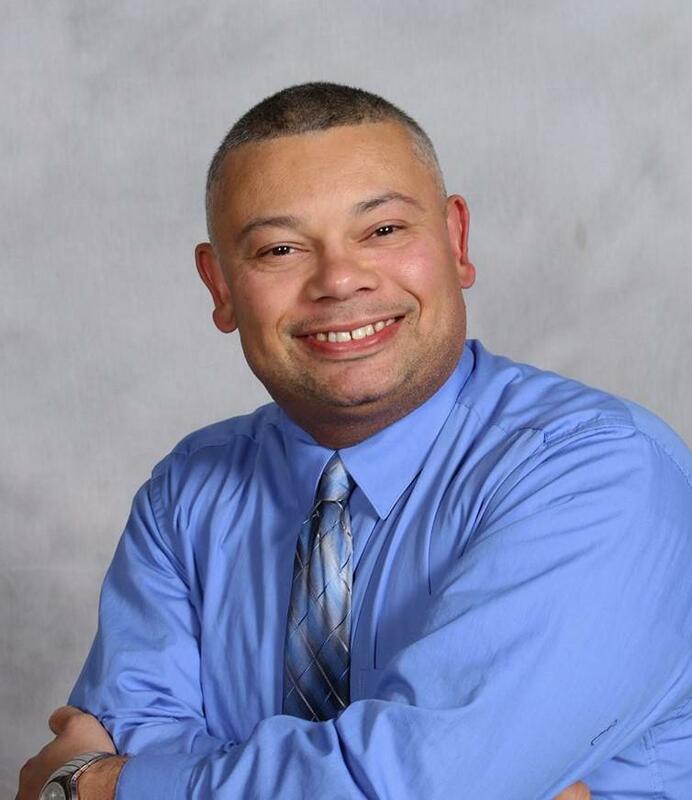 Those questions about his identity prompted Richardson to find out more about the Haliwa-Saponi people, based in Halifax and Warren Counties. He made his parents drive him to libraries around Washington D.C. and to the National Anthropological Archives at the Smithsonian Institution. 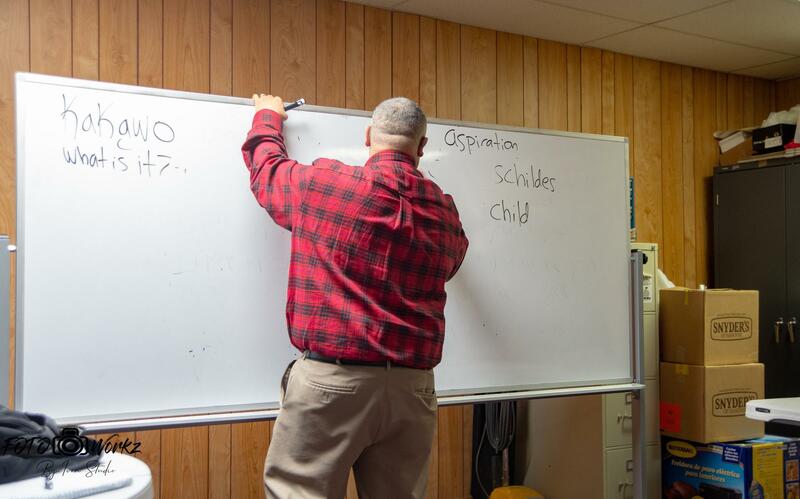 Marty Richardson has taught Tutelo-Saponi language classes on and off for two decades. His work has helped revitalize the language. “As a 14-15 year old I started doing research. [I go] to local libraries. I go to local universities and I found the published articles on Tutelo. And that's kind of what set me off,” says Richardson. Marty emerged from those dusty library stacks with a discovery: his ancestors once spoke a language that had nearly disappeared in the 1700s. The Tutelo-Saponi language belongs to the Siouan language family. Richardson theorizes that the language was nearly extinguished when ancestors of the Haliwa-Saponi were relocated to a small six-mile-square reservation called Fort Christanna in the Colony of Virginia. The last known speaker of Tutelo-Saponi is thought to have died in the 1980s. This newly uncovered knowledge about a historic language became the key for Richardson to feel connected to his distant community. He dived full-force into historic texts and uncovered word lists written in Tutelo-Saponi. Through consultations with linguists he slowly started on what would become a life mission, to bring the Tutelo-Saponi language back. Today, Richardson is reconstructing, learning, and teaching the language. He is considered one of only a handful of nearly-fluent Tutelo-Saponi speakers in the world. And his efforts and passion have created a foothold for the once dormant language. Within the Haliwa-Saponi Tribe, you might catch a ceremonial prayer delivered in the Tutelo-Saponi language. Or, you may hear the language in the songs of the Stoney Creek Singers, Richardson’s drum group. A group of students take in a Tutelo-Saponi language lesson from teacher Marty Richardson. But the fight to bring a language back from near-extinction can be a lonely job. Anna Louisa Daigneault, the program director of Living Tongues Institute for Endangered Languages recognizes the work involved in saving a language. “It might come down to just a very small number of dedicated individuals in the community, often teachers and some really passionate students who are really carrying the burden for everybody,” says Daigneault. Despite the workload, the rewards can be extensive. A language may strengthen a community and draw important historic connections. Marty Richardson found the roots of the Tutelo-Saponi language in old word lists tucked away in libraries. “It's important for the cultural identity of the people themselves the the people of the community who who spoke the language ancestral it to maintain that heritage and create that sense of self and the connection to the past,” says Daigneault. Richardson recognizes the importance for future generations, and he enlisted some help. He has recruited a millenial-age Haliwa-Saponi Tribe member that he dubs his ‘Padawan’ as his steady apprentice. It is just one way Marty Richardson is working to ensure his people's ancestral tongue persists. “We have to do something to keep our language alive,” says Richardson.